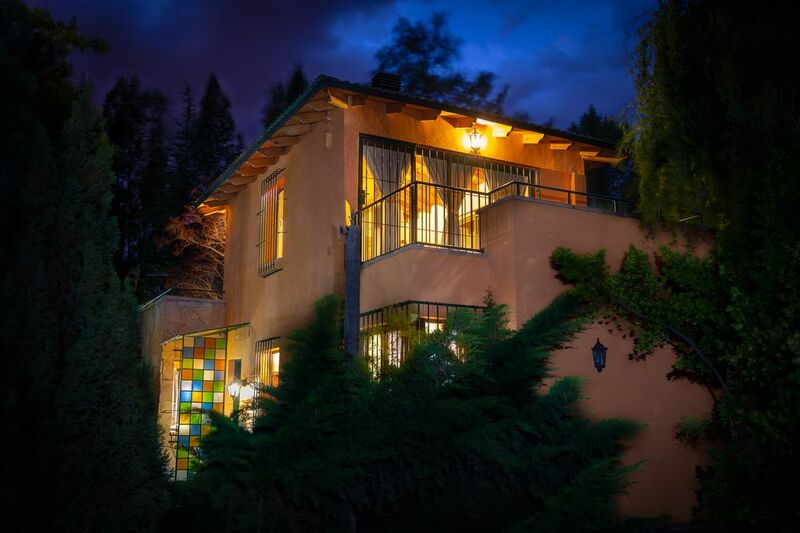 On the route of "Los Caminos del Vino" the house is located within a tree-lined private complex with entrance gate and 24-hour security, which provides unparalleled tranquility and security to the tourists who visit us. In the "Wine Route", the house is located within a wooded private complex with an entrance gate and security guards 24 hours, which provides unparalleled tranquility and security for the tourists who visit us. The district of Vistalba with views of the Andes mountain range, is a place surrounded by many international wineries recognized throughout the world. It is a sunny land, of vast vegetation, quiet to live and take vacations. The location offers the possibility of arriving in 35 minutes by car to the city of Mendoza, with casinos and all the elements and attractions offered by the big city. At the same time, our house is close to beer courts, mountain and river places, restaurants and Andean tea houses that are very popular among tourists. In the center of Lujan de Cuyo and Chacras de Coria you can find shopping circuits and varied restaurants within 15 minutes. Between 20 and 30 minutes we find the big shopping centers that offer shops, gastronomy, cinemas and entertainment. Also 10 minutes from the property are the main clubs of the province. The Vistalba district with views of the Andes Mountains, is a place surrounded by many international wineries recognized around the world. It is a sunny land, of vast vegetation and quiet to live and take vacations. The location offers the possibility of arriving in 35 minutes by car to the city of Mendoza, with casinos and all the elements and attractions offered by the big city. At the same time, our house is close to beer courts, mountain and river places, restaurants and Andean tea houses that are very popular among tourists. In the center of Lujan de Cuyo and Chacras de Coria you can find shopping circuits and restaurants within 15 minutes. Between 20 and 30 minutes we find the big shopping centers that offer shops, gastronomy, cinemas and entertainment. Also 10 minutes from the property are the main discotheques of the province. On the main route public buses pass and also by means of a telephone call you can rent remises with an anticipation of 20-30 minutes to have a car at the door of the house. It is also possible to rent scheduled general packages for adventure tourism, mountain tours, bicycle trips, horseback riding or circuits through "Los Caminos del Vino" where some wineries offer lunches and tastings of their products. On the main route public buses pass and also by means of a telephone call you can rent remises with an anticipation of 20-30 minutes to have at the door of the house. It is also possible to rent general packages for adventure tourism, mountain tours, bicycle trips, horseback riding or circuits through "Wine Route" where some wineries offer lunches and tastings of their products. Wine tourism through the Wine Roads between vineyards and wineries recognized worldwide, where you can taste wine and have lunch in one of them. Rafting on the Mendoza River. Visit to the Puente del Inca in the high mountains and visit the Cristo Redentor Monument of Los Andes on the border with the neighboring country of Chile.